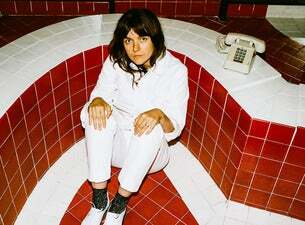 Courtney Barnett has come a long way as a musician over the course of the last decade – 743,000 kilometres, give or take a couple of circumambulations of the earth, per an estimate from Songkick. The site ballparks the distance between venues booked for a given artist’s performance, both within and between districts and continents, though it won’t say if the measures are mannered as the crow flies or as the ambulance drives. Some people commute on boats to work on rockets; others harness those rockets to make up the orbits Barnett’s short of a trip to the moon and back. Crows go to great lengths to show their young how to fly, and parenting is patently circuitous. Some EMT chauffeurs must leave their motors running to help the injured onto gurneys under the awnings where nurses in smocks and clogs smoke, watching. The odometer tracking begins with Barnett at the Corner Hotel, an 800-capacity–before–the–authorities–are–alerted show space in Richmond, an inner suburb of Melbourne, where she opened a gig in June 2009. The main ticket that evening, Isle Adore, currently claims a defunct Tumblr page and a chimes-wispy Bandcamp single that, doubly-checked, “releases” in 2037. Barnett, for her part, was last identified by the concert site as headlining in late October of this year a 2200-stander amphitheater in Austin, Texas, USA. She followed fellow punk-turned-melodeer Waxahatchee, and the forum for their concert was sponsored by Stubb’s, a purveyor of edible Bar-B-Q paraphernalia that recently sold for $100m to the seasoning magnate McCormick’s. No telling from their spread which rub goes with shrimp. Barnett will add another several thousand kilometres to her log when she wings it from Bat City to the German capital, where, on 01 November, she’ll kick off yet another three-week tour of northwestern Europe. She completed a similar, albeit slightly shorter, circuit of England and the Lowlands just four months back, in support of her newest full-length, Tell Me How You Really Feel. The thematics and vocabulary of that record gave a semblance of fracture vis-à-vis its predecessor, Sometimes I Sit and Think, Sometimes I Just Sit, and the EPs released before that. The subjectivities of her narrator seemed to swap bodies in the half-decade that came between the pair: the wry, granular observation that shot her from anonymity to prominence hasn’t evaporated, exactly; rather, it’s been supplanted by an entreaty to examine her psyche, even as the instrumentation – by turns crunchy and melodic – has remained largely the same. Where there were highway shoulders adorned with coke can pyramids and Jackson Pollack’d possums to ogle in passing, there are currents of bitterness and ignorance – contentedly, even proudly, accepted – to bathe in. By appearances, masked or not, she’s exchanged irony for sincerity, though trafficking in both frequently suggests that the currencies are two faces of the same coin. There’s a quip in the first verse of one of Barnett’s new singles, “City Looks Pretty,” that finds the median in the difference. “Friends treat you like a stranger and / strangers treat you like their best friend / oh well.” This, it seems, is the not-uncommon and haunted dividend of her travels: the pilgrimage to become an icon has opened an ocean between her selves. I’m left to hope that she sees a familiar face or two on her way through, this time around.